Sundays at All-Con are always Superhero themed. Naturally, I was dressed appropriately as Green Arrow. Not just for the sake of Superhero Sunday, mind you, but also because my final panel of the Con was a history class All About (Green) Arrow. The costume was much the same as the last time I'd worn it, save for a redesigned beard and a new quiver that I could more easily draw out of. 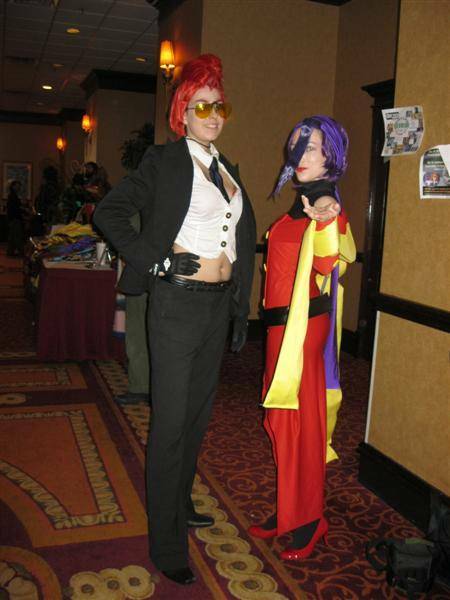 My definition of a successful cosplay has become "one that leaves me posing for more pictures than I take". 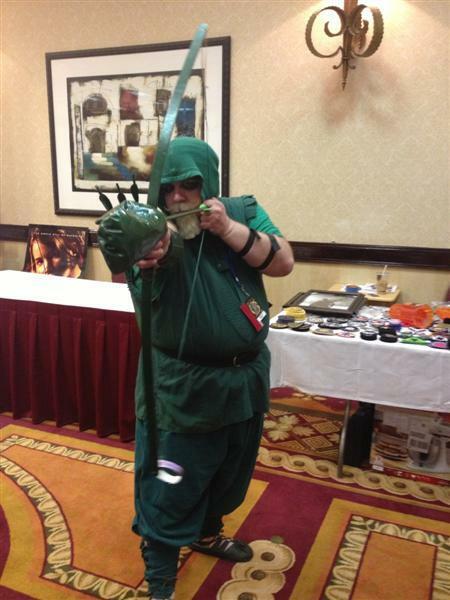 I say this because the last few times I've dressed as Green Arrow, I wound up taking much fewer pictures than on the days I was wearing a different costume. So forgive this con reporter being briefer than the rest. 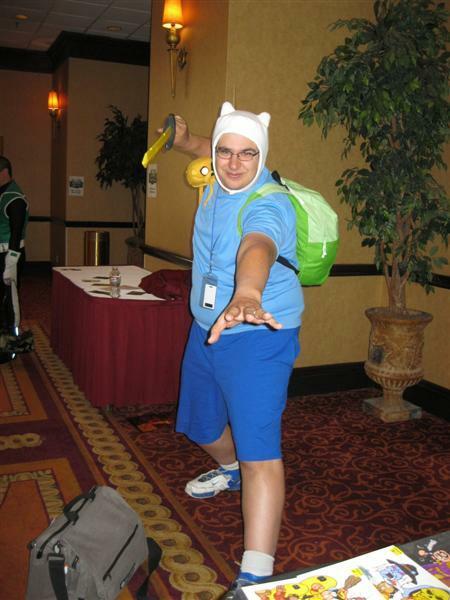 Rick Gutierrez of The United States of Geekdom dressed as Finn The Human from Adventure Time. 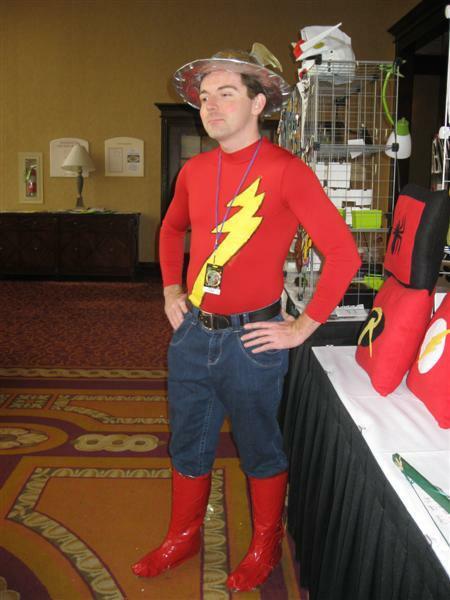 The original Jay Garrick Flash. A rather obscure one this - R'amey Holl, Green Lantern of Sector of 700. 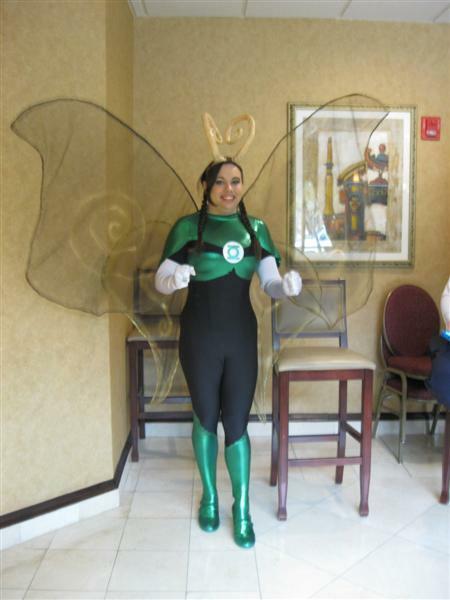 She later went on to win Best Hero and Best in Show at the day's superhero cosplay contest. 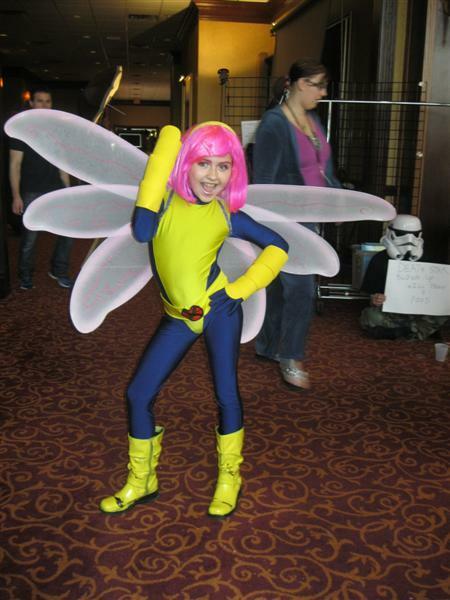 Here is Reese of Reese's Pieces (the geek girl blog - not the candy) as Pixie from X-Men. You can read her report on All-Con here. 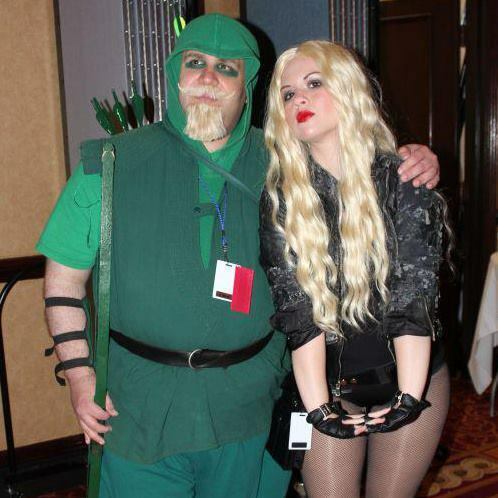 Me and Kimmie Britt of IHO Geek as Green Arrow and Black Canary.